Must-see, brand new home in Harbor Oaks! Beautiful open floor plan – perfect for entertaining! Large Master Bedroom on first floor with tray ceiling, his and hers walk-in closets, and spacious Master Bath with large tub, separate shower, and dual vanities. Large kitchen island with room for plenty of seating, cabinet space galore, gas cooktop, butler’s pantry, spacious breakfast nook, private dining room, private study, mudroom with bench and cubbies, and tons of windows that bring in an amazing amount of natural light!! Large 3-car courtyard garage, upgraded elevation with dormers, stone, shake, and craftsman shutters. Large secondary bedrooms, huge game room, and over 300 SF of unfinished walk-in storage space on the second floor!! Large, very private lot with rear deck to enjoy the view of the woods. Full 1-year/2-year/10-year warranties provided. 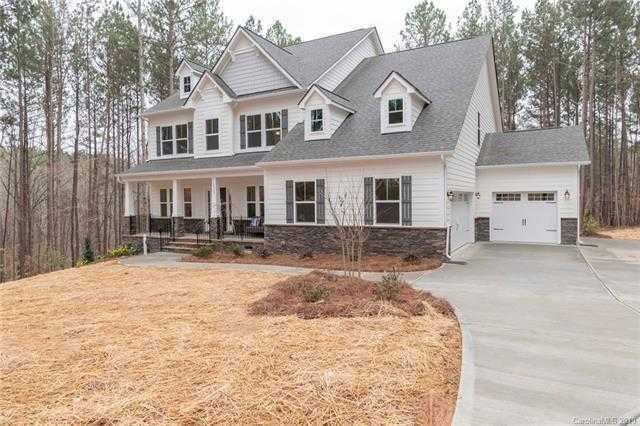 Please, send me more information on this property: MLS# 3473450 – $544,900 – 6888 Kingfisher Court, Denver, NC 28037. I would like to schedule a private showing for this property: MLS# 3473450 – $544,900 – 6888 Kingfisher Court, Denver, NC 28037.